The Austrian alpinist who claimed to have made this season’s only ascent of K2 has admitted that he lied about his summit. IF CHRISTIAN STANGL’S story had been true, it would have made him a legend: In a season where no expedition has summited K2, a lone climber splits from his party and sprints to the top and back in a 70-hour push. Stangl, a well-known speed alpinist and seven summiteer, originally claimed he had reached the summit on August 10. Two days later, a climbing team discovered Stangl’s gear, much of which would have been essential in surviving a push to the top, stashed near Advanced Base Camp. Stangl came under even more pressure when examination revealed that the landscape in his summit photo was remarkably similar to the view from one of the lower camps. The main theme that’s sprung up both in Stangl’s confession and the coverage thereof is the enormous pressure to succeed that alpinists face. In a statement on sponsor Mammut‘s blog, Stangl said that it was his own internal expectations that drove him to fake the summit. While Stangl has received heavy criticism from mountaineering sites and newspapers since his confession, some responses have been almost merciful. Vinicio Stefanello, of PlanetMountain.com, pointed out that Stangl is likely not the first climber to lie about a major success. It’s hard for me to argue with him. 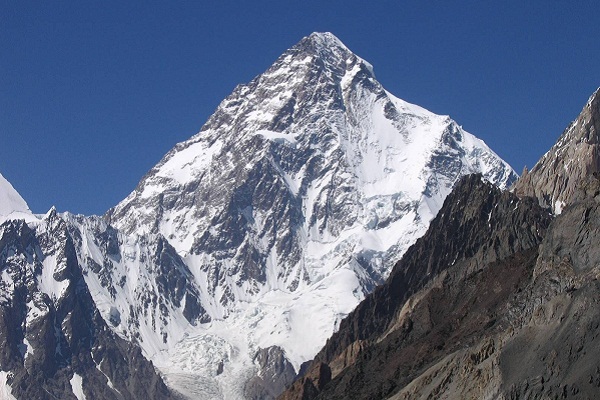 Anyone who thinks that climbing on K2 was ever simple or honest is romanticizing the past. Infighting among the team that made the very first ascent of the peak would eventually lead one climber, Walter Bonatti, to sue for libel almost half a century later. More recently, Oh Eun-Sun, the first woman to climb all of the world’s 8,000-meter peaks, had one of her ascents ruled invalid when the Korean Alpine Federation concluded that her claims of summiting Kachenjunga were not reliable. Summiting any Himalayan peak is clearly a big deal, and we’ve come up with all sorts of contrived ways to substantiate summit claims, like GPS transceivers and satellite-tagged pictures. But none of these things have made mountaineering honest. If anything, Stangl’s fast, light, and fake ascent is the product of a climbing culture that prizes style and technical purity at the expense of all other kinds of ethics. This scandal should be a reminder that, without a sense of honor or a purpose more meaningful than getting a write-up in the newspaper, it doesn’t matter how clean someone climbs or whether he or she uses bottled oxygen to get to the top. Learn about the world’s most dangerous peaks on Matador Trips.